George Michael has revealed he has a five-week gap in his memory from when he was battling pneumonia late last year. During an interview with BBC Radio 2’s Chris Evans, George said that it was “touch and go” whether he would survive his time in hospital. George Michael, 48, said he had to learn to walk after the illness, which left him fighting for his life, as his muscles had wasted away. George Michael was forced to cancel a string of shows while he was treated in the Austrian capital Vienna, where he said medics “downplayed” his condition to avoid a “death watch kind of thing”. The true extent of his illness did not become public until after his release from hospital. George Michael admitted the severity of his condition could have been avoided if he had followed advice to get checked out, when a temperature forced him to pull out of a show at the Royal Albert Hall a few weeks earlier. “I took it for granted that I’d just fought off flu,” the former Wham star told Evans. “I went and played for another three weeks in Europe. And then one afternoon I was having lunch and suddenly felt really odd and said to everyone that I had to go and lay down for half an hour on my own,” he added. George Michael has written new single White Light about his near death experiences. Kate Moss features in the video, more than 20 years after missing out on starring in his supermodel-filled promo for his single Freedom. George Michael told Chris Evans in an interview for his breakfast show that he was “very close” to death on several occasions, and still found it upsetting to talk about. In March this year George Michael announced rescheduled dates for The Symphonica tour, starting on 4 September with a newly-added date in Vienna. He said he would donate 1,000 tickets to the medical staff in the city who had looked after him. 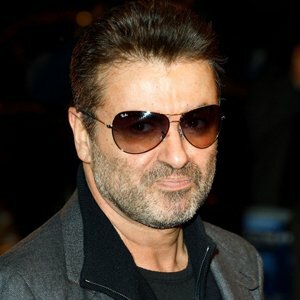 George Michael also confirmed to Chris Evans that he is scheduled to perform at the Olympics closing ceremony in August. “That’s the plan yes,” he said.